So is the planet Earth. Growing up, being a fan of the series (and of anything science-fiction or fantasy) was like being in a relatively small secret society. One of the great joys I’ve had over the years is seeing that society conquer the world. Sci-fi has had a loyal following since the days of Verne and Wells, but the staggering diversity of vision is now in every home, theater, game console, book shelf, school, and popular culture at large. With Star Wars, the world saw its first global epic poem (in college, this was the argument of my final term paper for my literature major; I got an A-.) High pulp adventure and space opera goodness, seasoned with cosmic wizards, droid companions, and a galactic backdrop for our tribal campfire tale of good versus evil. So there you have it. I’m one of you. The Force binds us. I’ve never been a blind groupie of anything in my life. It’s very vogue to bash the prequel trilogy today (and bash it we should, without quarter or mercy) and yet at the time of its release, a great majority of people were heaping lavish praise upon it. I walked out of seeing The Phantom Menace ready to throw myself into a Sarlacc Pit, because being slowly digested over a thousand years couldn’t possibly be worse than the banal and soul-stomping crapfest I had just experienced. And Revenge of the Sith is only a better movie than its immediate predecessors in the same way that being slowly beaten to death with a medieval mace is preferable to being devoured by fire ants. After being set on fire. 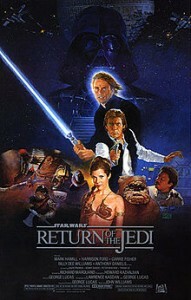 I waited thirty years for a legitimate continuation of the Star Wars cinematic universe. And so we come to Star Wars: The Force Awakens. How is it? You’ve already seen it. If you loved it, I’m happy for you, and especially delighted to see the multi-generational love it is enjoying. The new characters were indeed interesting and iconic. I genuinely want to learn more about them. I genuinely like them. As my friend Steve Novella said, BB8 hit the sweet spot of being adorable without being annoying. He’s a terrific and authentic addition. The action was excellent, and stopping that blaster beam in mid-air ranks as one of the coolest things I have ever seen on film. This was infinitely better than the wretched prequel films. The Starkiller weapon is indeed an inexcusable repeat of something we’ve seen twice before. A stale and unimaginative repeat with a stale and unimaginative solution. I’m sorry, but it is supremely lazy screenwriting to hit a great big reset button just for the sake of familiarity and establishing “underdogginess” with the good guys. Frankly, I’m sick of this technique (from Ghostbusters 2 to National Treasure 2 and beyond.) I think we needed to see Han and Leia as senators in the New Republic (or in some other position of authority.) They earned victory in the original trilogy, and were set to reestablish a New Republic of some kind. Let’s see them riding high (maybe even complacent) before we throw them through the grinder again. Instead, we get six seconds of glimpsing the New Republic — knowing nothing about them at all except that they are so clearly inept that they knew nothing of the gigantic new superweapon being constructed within firing distance of their worlds. Why betray the Han-and-Leia love story with such a jaded turn? Why not edge them back into the action, mentoring the younger characters as they pass the torch instead of serving as flat cameos? It felt cheap and empty, having Han reduced to being a smuggler once again, down on his luck again, Leia monitoring a battle on a vector-screen from afar again. There’s zero growth for these characters, and I just don’t buy it. Star Wars: The Force Awakens felt like legitimate inspiration left too long in a committee-run Easy Bake oven. A very decent film that could have easily been a great film. 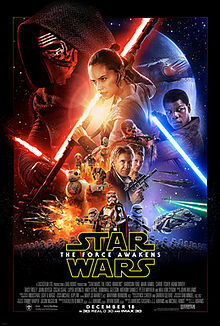 We sigh with relief that it was far better than the prequels, but it was not the best we could have gotten. Personally, I would have kept two-thirds of that script. Then bring in the threat to them. Assassins setting a thermonuclear detonator in Leia’s Jedi school. Han Solo getting lured into a trap in the merchant district where he’s beset by enemies and has to shoot his way out. Leia flinging the bomb out of harm’s way with a well-timed Force-throw. Aware now that their enemies are coming for them even on their home turf, this proves to be the impetus for Han to dust off the smuggler’s livery and head back into space where he encounters Rey and Finn. Resume the script from there. Better? I sure as hell think so. At the very least it would add more punch to what follows. Han has something to lose now. Leia has something to lose. In the context of the film as it stands, they’re little more than props painted with nostalgic colors. And what a show-stopping moment it would be, to see a reformed Han take the controls of the Millennium Falcon one last time. The wry patented Harrison Ford smirk as he settles into the role — even if only for a single scene — simultaneously showing how much he’s grown and how much he never will. Before… well… you know. The Force Awakens fumbled the ball with these beloved characters. Didn’t hate it. Didn’t love it.